Description : The two bedroom villa is very spacious and airy. You can almost smell the ocean breeze because of their close proximity to the beach. The rooms come fully equipped with kitchen appliances and have a balcony that gives a spectacular view of the lush tropical gardens. 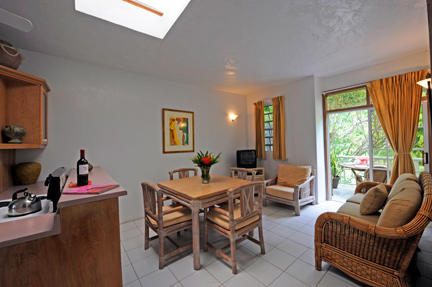 These suites accommodates up to four adults or a family of four.